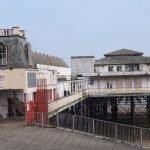 During the Forties Festival weekend in April 2015 Heritage Group member Cindy Lowe undertook a weekend of collecting visitors’ and local people’s memories of the pier. Those memories, along with photographs, are available to download here as a free PDF booklet. 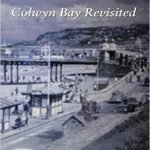 Local author Cindy Lowe (Colwyn Bay Accredited: the wartime experience and To Where We Once Belonged: Colwyn Bay Revisited) has compiled the booklet with the support of other group members. 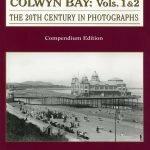 The foreword has been contributed by a former Colwyn Bay school friend of Cindy’s – Darlah Thomas, author of “The Piers of Wales”. Looking at it now with its dilapidated pavilion and rust stick stanchions it’s hard to imagine just how important the pier was to Colwyn Bay in the past and how much pleasure it has provided over the years. Jutting out into the sea from the very middle of the Bay it became symbolic of all that Colwyn Bay was in the late 19th century and throughout the 20th; the very epitome of a British seaside holiday resort. 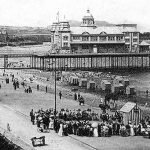 With the direct link from the railway station via the path leading from platform 3 the pier and the beach were the first things seen by the thousands who visited the town in those times, and an exploration of the pier was for many their very first experience of the seaside. 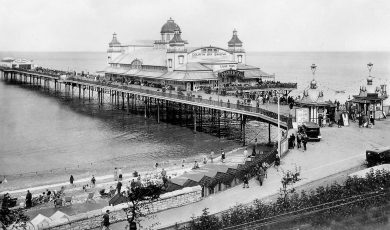 But the pier was not only important to holiday makers, it became the centre of social activity for local residents too. 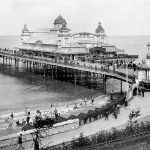 Shows, dances, shops, cafes and bars made the pier a memorable building both for those who holidayed in the town and for those who lived and worked in North Wales. Sadly the pier is now in jeopardy. Its attractions slowly dissipated during the latter half of the 20th century; changing tastes and the better economic situation meant that people could holiday further afield. 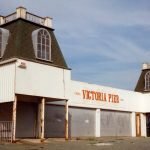 The pier became economically unsustainable and was closed altogether a few years ago. Unless there is a last minute reprieve it will be demolished, which is why this book of memories is just so important. In these pages we recapture something of what it felt like to those attracted to the pier in its heyday. The memories paint a lovely picture of a bygone era, the stories are sometimes funny, sometimes moving but always enlightening. 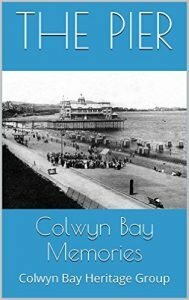 They will surely resonate with the feelings that so many of us still have of our first visit to Colwyn Bay and the many hours we spent there with our families or friends. Our thanks go to all those who spent time recording their memories but special thanks are due to Cindy Lowe who came up with the idea, transcribed and edited the contributions and encouraged the eBooks production, and to Eunice Roberts for providing photographs and the technical knowhow to ensure its publication. This collection of memories will ensure that the pier and the experiences of those who visited it will not be forgotten. 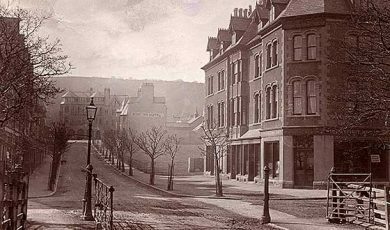 It provides a valuable account of perhaps the most important and certainly the best remembered building in the town’s history, and I have no hesitation in commending it to you. It’s a good read and I’m sure you will enjoy it.